The Blind Pig is a prohibition style speakeasy bar. 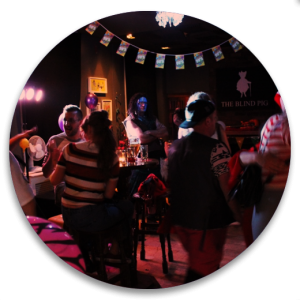 Julie Hall is the owner of The Blind Pig, an amazing character and well known in the Bar scene having worked in bars across West Yorkshire and even The North East. She's put her heart and soul into The Blind Pig building it up and we hope it shows! 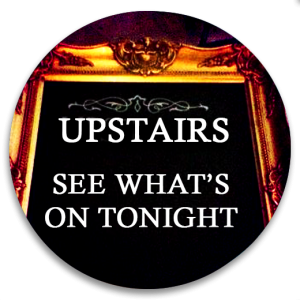 Offering Live Music and a range of Hand pull, draught lager and ciders and bottled beers. We offer a range of cocktails with our signature Mr Scruff drink. Various deals are available, check our menu boards in the bar to see what we've got for you. Julie's famous Vodka Jellies and our experimental range of Sweety Vodka Shots are available for you to taste! Every Friday we like to put on a show for you, there's always a live band. 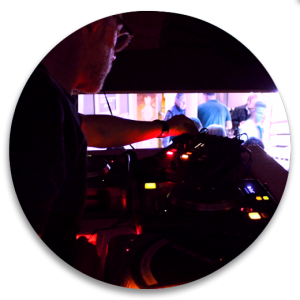 Saturdays are mainly filled by one of our resident DJ's, from Russ (kibbutz) and GrooveShack to Martyn's Rock Shack. When they aren't around we have a Jay Box Juke Box with a huge range available at the click of a button. We have Phoebe's Night on Mondays and a Pub Quiz on Thursdays. There's a night for everyone at The Pig and everyone's welcome.